The Yamaha PSR450 is becoming more and more popular among keyboard players. 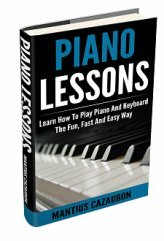 While many advanced players love this keyboard, it is perhaps more suited to beginners. This is exactly the kind of keyboard I would have loved to have years ago when my interest in sequencing started. I love the fact that it comes with a floppy disk drive allowing one to easily record and play songs created by oneself. Or how about downloading songs from the Internet and playing them on your PSR450? Normally advanced players are not too interested in accompaniment styles, and other similar features that the PSR 450 comes with. This portable Yamaha keyboard comes with over 200 songs to choose from and beginners would love this. But for a more advanced player an entire band would do - not a portable keyboard playing bass, piano, strings, brass, and so on, all at once. Now I'm not saying this is bad. I'm just trying to show you how better suited this keyboard is to younger musicians. Personally I think this kind of keyboard is great for students because of the way it exposes them to so many different styles of music. With a regular digital piano this is certainly not the case. 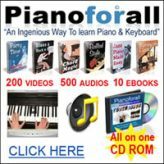 The only advantage that digital pianos have is that they come with weighted keys, making them better suited for those who want to become accomplished pianists. Otherwise, portable keyboards like the Yamaha PSR450 are more fun. The PSR450 comes with 62 piano-size sensitive keys, a built-in 6-track recorder, a floppy disk drive, and so much more. You should be absolutely delighted with its large selection of XGlite voices, plus 5 cool voices, 8 sweet voices, and lush live orchestra voice. It's equipped with a total of 627 voices. You should read customer reviews before deciding whether or not the Yamaha PSR 450 is right for you. 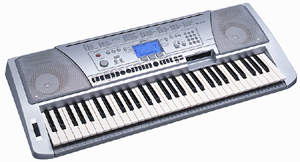 Shop for Yamaha keyboards here.